When you optimize your SEO for local internet users, you are more likely to boost local website traffic, sales leads, and conversion rates. Instead of focusing on a large demographic, you can focus your SEO on your local area. Small businesses have been using localized SEO Services in Bangkok to target their local communities and compete with larger brands. Maintaining a blog is a common SEO tactic, as it adds more content to your domain and provides a reason for people to share links to your website. When creating blog posts, it is important to provide valuable information to your customers. They may not care as much about the latest developments at your company. However, they may appreciate information that helps them use your products or services. Along with informative articles about the use or selection of your products or services, you should include localized content. Discuss the latest news and activities in your area, especially if they are related to your industry. You can also create content that discusses charities and local events that you support. 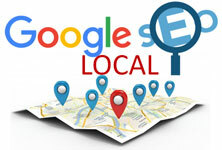 Google My Business is the name of the Google product that allows businesses to edit their listing that appears in Google Maps and in Google searches. Important information for local customers can be added, such as your hours of operation. Google allows you to set up this listing for free. However, you will need to verify the authenticity of your business. Google often mails a letter or postcard containing a verification code to your business address. After the business is verified, you can begin editing the information displayed on Google Maps and searches. In addition to the hours of operation, you can include your website address, logo, and the types of payment methods that you accept. Some businesses also add images. Google reviews may appear next to your business listing. When a user searches for local businesses, these reviews are often displayed to help them choose the best business. In fact, most internet users trust these reviews the same way that they trust recommendations from friends and family. Negative reviews can seriously hurt your business and cause your listing to appear further down the page. If you want to build your local brand, it is important to focus on getting good reviews. This starts with customer service. When your customers are satisfied, they are more likely to have a positive impression of your business. However, you may need to encourage these happy customers to leave their feedback on Google. Encouraging satisfied customers to leave positive reviews is also a great way to start burying bad reviews. Besides the Google My Business listing, there are other online directories containing contact information and reviews for local businesses. The most popular online directories include Yellow Pages and Yelp. However, there are dozens of directories available. You may even find directories that were created specifically for your region. While these directories may not be as popular as Google, they still attract visitors and help improve your localized search engine optimization. Like the Google My Business listing, some of these directories allow you to edit your listing for free after you verify your business. While Google and other search engines claim that keywords are no longer as relevant to search results as they were formerly, keywords still carry weight. By including localized keywords in your content, your web pages may do better in local searches. When you use the Google Keyword Planner, filter your keyword searches to your local area. You are more likely to find keyword searches that people in your region use when searching the internet. Begin building a list of relevant local keywords that you can use in your content. You should also reference local landmarks or attractions. For example, if your business is near a popular tourist attraction, mention the attraction when discussing your location. Most internet searches are performed on mobile devices. This means that most people that visit your website are viewing it from a smartphone or tablet. If your website is difficult to navigate or read on mobile devices, you will likely lose potential customers to businesses that maintain mobile-optimized websites. Mobile devices have been popular for several years now. There is no excuse for a modern business website to only work on desktop web browsers. If you want to improve local SEO, ensure that your website is viewable on mobile devices. The most common solution is to use a responsive web design. With a responsive web design, elements are adjusted based on the size of the screen. Your menu, page width, and images are automatically adjusted for different types of devices. When you serve multiple cities or towns, it is helpful to create specific landing pages for each area that you serve. Make sure that these pages include tailored content for the location, instead of recycling the same content for different cities. Along with region-specific content, you should create multiple pages for each business location that you operate. If you have multiples offices or business locations, ensure that you have an about page or contact page for each location. These locations may have different addresses, phone numbers, store hours, and products or services. The final local search engine optimization tip also involves creating multiple web pages to target different keywords. However, instead of creating landing pages or location pages, you should create dedicated pages for each of your products or services. Businesses often make the mistake of creating a single page that lists each of their products or services. While you may want a general product or service page, you should also build a separate page for each item. This increases the number of pages on your domain and allows you to include more localized keywords. Local SEO allows smaller companies to compete with national companies. However, any search engine optimization strategy requires planning and careful implementation. It is also important to remember that you may not get results overnight. The steps that you take today to boost your local SEO may take months to pay off.